The Medica Trade Fair got off to a flying start on Tuesday 15th November when CapeRay attended a CBI workshop, along with the other 22 companies from countries with emerging markets. First up on the agenda was identifying our SMART objectives (where SMART stands for specific, measurable, achievable, realistic and time-based). These were: to secure 20 leads per day, of which at least three had to be high quality; to visit three of our key suppliers; to gather market information on at least six of our direct competitors; and to increase awareness of our company and its products. We learned to recognize six types of visitor. These include: the information seeker, who is well prepared and searching for new suppliers; the wanderer, who happens upon your stand and is open to new ideas; the focused manager, who prepares an appointment in advance; the networker, who is looking to expand his personal contacts; the disinterested visitor, who is only attending the fair because his boss sent him; and the seminar attendee, whose time is usually spent in lectures but drops by the stand. At the workshop we also learned how our behaviour could be associated with different animals. We should not behave like ostriches, with our heads buried in laptops or cell phones, or like peacocks, talking loudly to our fellow exhibitors, and certainly not like a tiger, growling at an unwanted visitor to our stand. Rather we should behave like a troop of chimpanzees, engaging our visitors in friendly conversation. So, have we met our objectives? The answer is an emphatic “yes”. On Wednesday and Thursday we had 38 leads, of which seven were classified as “high interest”. 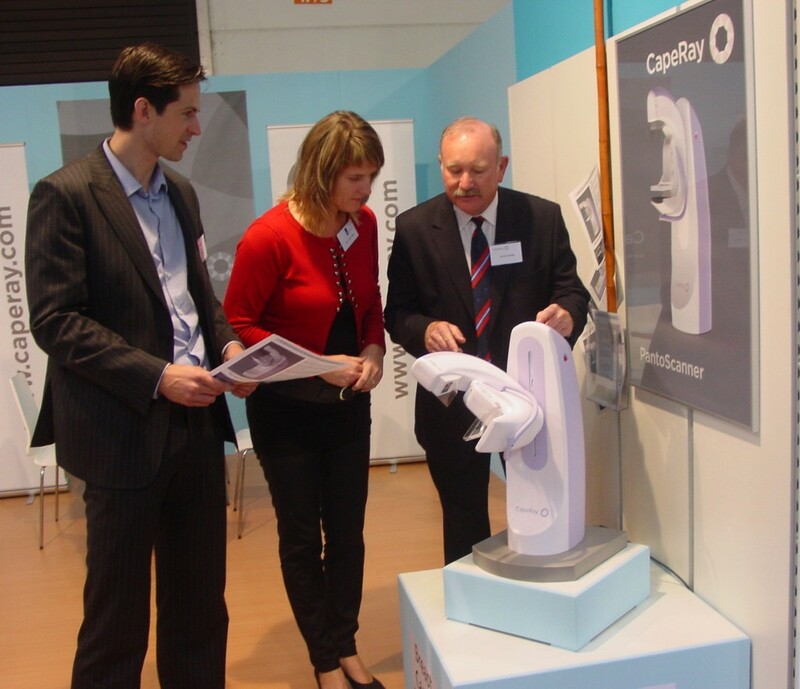 All were new contacts who were eager to represent CapeRay and our products in their home countries. Some were information seekers, others focused managers, while a few were inquisitive wanderers. We have strengthened our relationship with key partners such as IAE, our X-ray tube supplier, and IMD, who manufacture our generators. By attending Medica we now know a good deal more about what our competitors are up to and, through this exposure, CapeRay will undoubtedly improve its international profile. This is important work for a pair of chimpanzees!